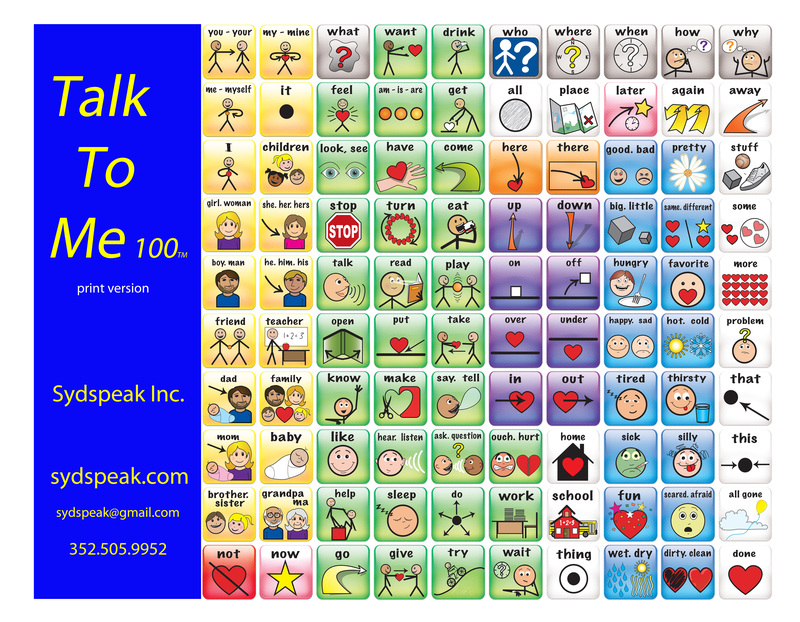 Talk To Me 100 is ready to go out of the box. Powered by 3 AAA batteries, it weighs just one pound and measures less than 1 foot square. I demoed the Sydspeaks to a variety of people – teachers and outreach workers at a Rehab/training center in Tanzania, some parents, a large group at a training (I did a 4-day AAC/AT training in Mombasa – teachers, assessment teachers, SLPs, OTs and PTs). Your devices were a hit with everyone, mainly because of the value for the price they offered. They also liked the voice quality, the volume of the voice, and the simplicity of use. The last day of the training I had a drawing for two of the Sydspeaks and some other voice output devices that had been donated (single message and talking photo albums). The third Sydspeak I gave to the Mombasa Education Assessment Resource Center. I adore my Talk To Me 100. I think it is simple, approachable, user friendly, adaptable and highly functional. I am so excited to share it with my students, interns and colleagues. I have spent my entire career in early intervention and this is exactly the device I have envisioned using with the children. The pictures are perfect, the vocabulary is excellent and your directions to the parents on the back are so clear, plus the price is so affordable.